The son of Holocaust survivors came to Australia for a new life but the horrors of the past have revisited him following the brutal murder of his 18-yr-old daughter in Sydney in 2011. In a victim’s statement in the NSW Supreme Court, Shlomo Sol Ajbschitz said: “Forty years of healing that my new life in Australia has provided me was undone in one brutal act. In April Sean Lee King was found guilty of the murder of Jazmin-Jean Ajbschitz in her mother’s home at 444 Harris St Ultimo. 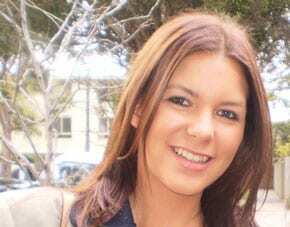 King admitted killing her but pleaded manslaughter claiming he had been high on ice. His plea was rejected. The sentencing hearing continues before Justice Geoffrey Bellew. This is so horrendous. I am down in central Vic so an account did not appear in the Melb Age but would have, if this had happened in Melb. Its sickening, to know that this beautiful girl lost her life because she had an acquaintance with an Ice freak. We live in a country town of 100,000;pretty small cf the city of Melb but we have a considerable ice problem, due to dealers bringing the stuff in – recently the local rag did an expose and it related how a nurse at the local Base hospital emergency, got badly bitten on the arm, by a woman insane/psychotic on ice. That made the town sit up and take notice. This guy came to Oz to be further from the horrors of the Holocaust and his only and very beautiful daughter is murdered. Doesn’t make you feel very proud to be Australian, does it?